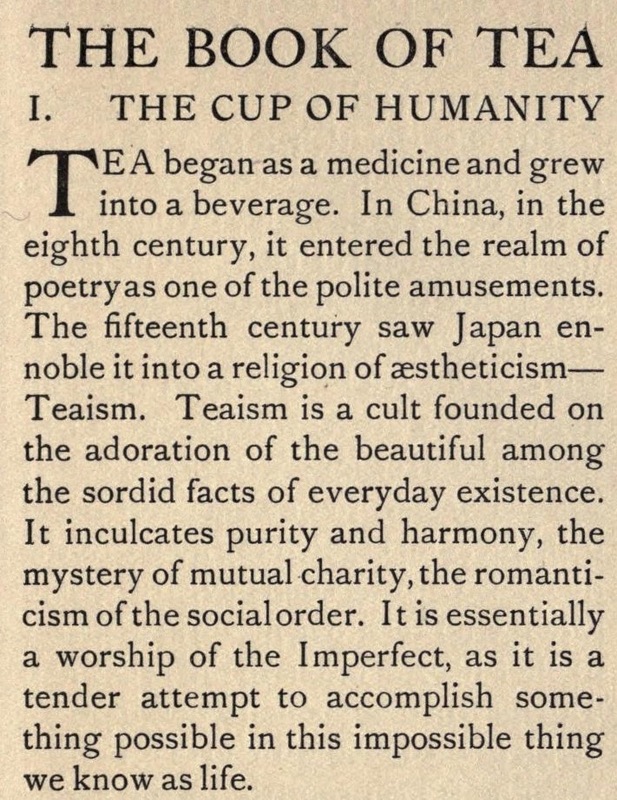 The Book of Tea was written in 1906 was written in English by the Japanese writer Okakura Kakuzo. It reflects on tea and the relation between this important drink and elements of the aesthetic and cultural in Japanese life. HERE is a beautiful 1919 version with illustrations.